Are you one of those people who always request a booth when you go to a restaurant? Whenever I go out with friends, there’s always a scramble for who gets to sit on the banquette, there’s something so intimate and cozy about them. 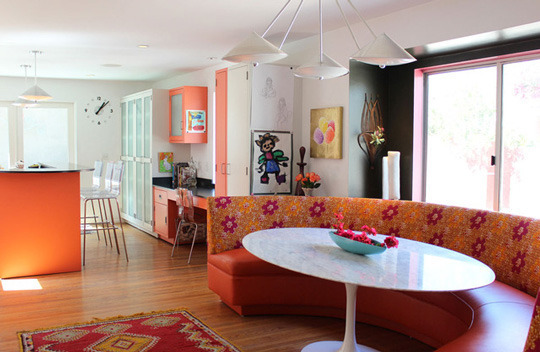 How about incorporating one into your dream home? 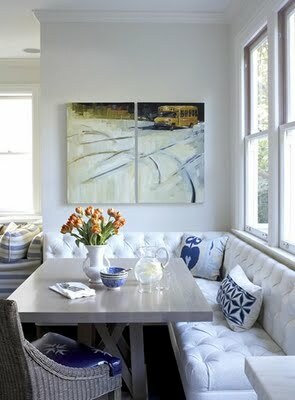 I absolutely adore banquette seating, whether it’s in a kitchen, dining room, or living room. It’s a comfortable, inviting seating arrangement that’s brilliant at maximising your space. 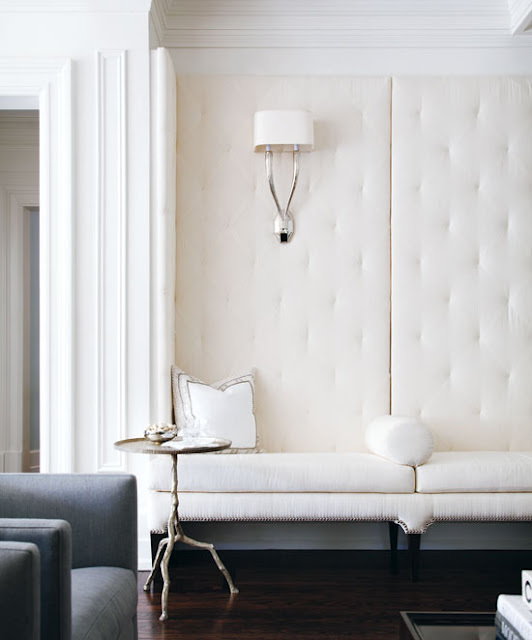 From elegant silk upholstery to casual built-ins, some that even include hidden storage, there are so many reasons to adore the banquette. They’re comfortable, great for feeding a crowd in small spaces and they add an inviting softness to your kitchen. Blush pink silk and a faded Gustavian chair makes this the perfect corner to have your afternoon tea. Maximise your space with a built-in corner booth. 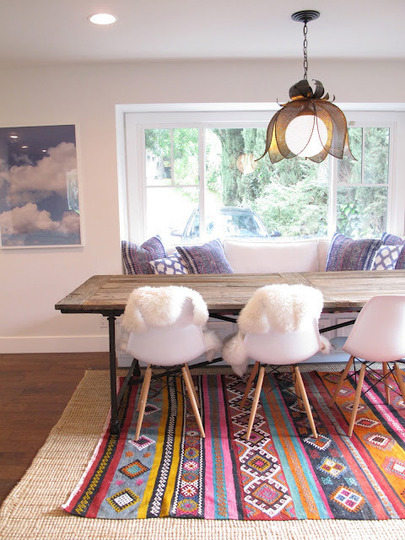 A bright rug with casual seating, modern chairs and a farmhouse table make this breakfast room cheerful and fun. Fill your wall with family pictures for a cozy nook. This would be lovely in Miami, but probably too bright before your first cup of coffee? 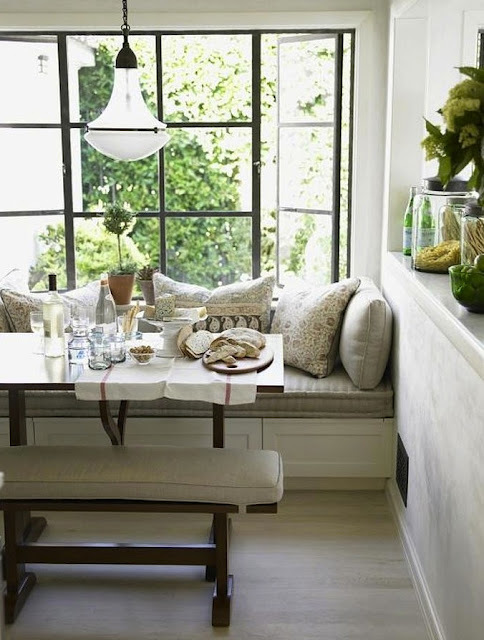 Informal banquette style seating looks fresh and lovely with a lick of white paint and clapboard panelling. Vintage enamel pendant lights works very well in this bright, airy corner. 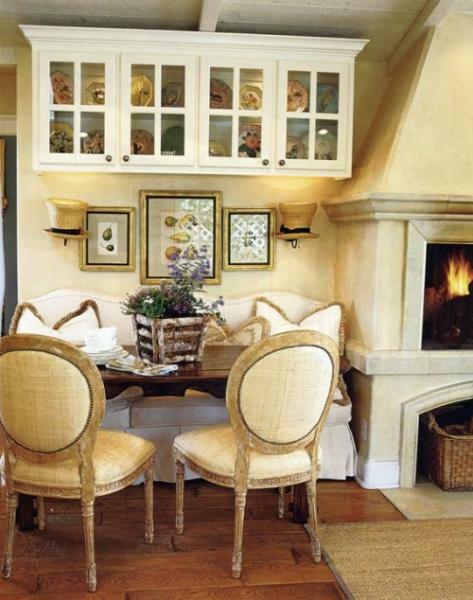 Fitting a gorgeous seating area into a very small space makes this a genius arrangement! 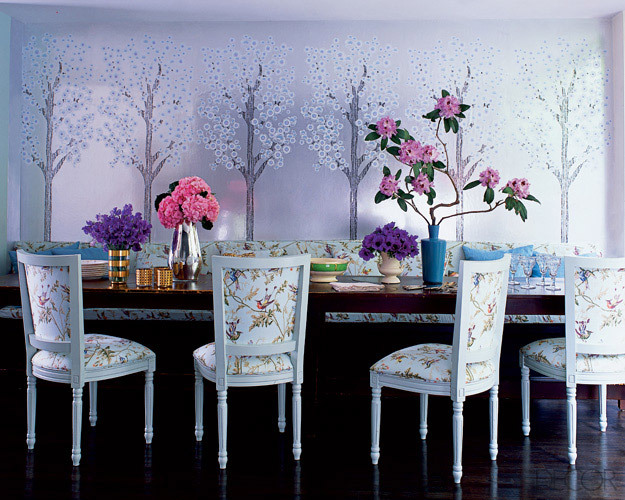 Wow, love this image from Elle Decor, don’t you? 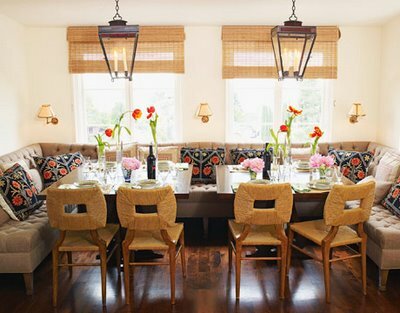 The fabric on the chairs, the wallpaper, stylish without being too safe! More fresh ideas from Kemble interiors. Blue blue and more blue, too many options to choose from!! Massucco-warner-miller-design. The deep-buttoning is adorable. 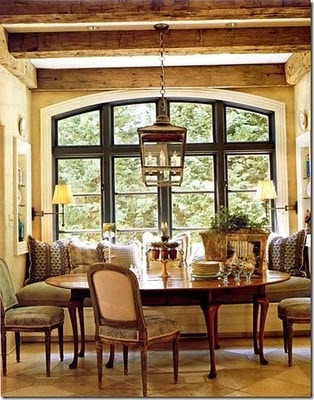 Don’t you just love the french metal windows? 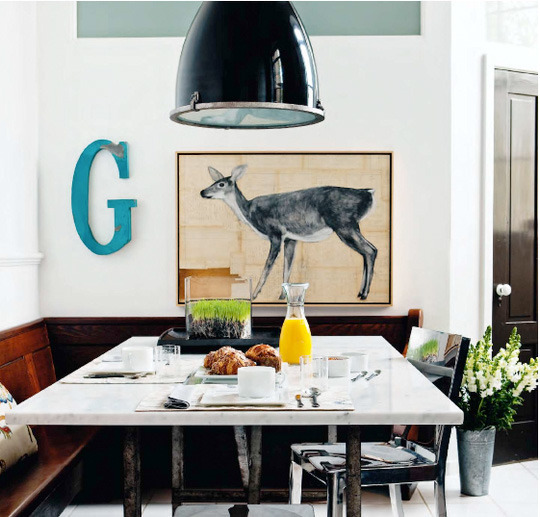 Symmetry is key in this dining area from House Beautiful. 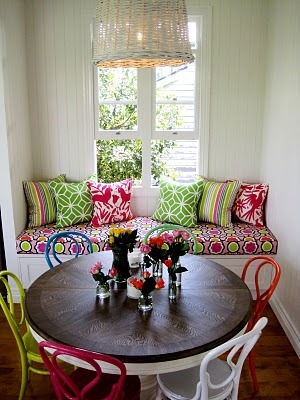 Imagine having a long lunch with good friends in this inviting space. Now this has GOT to cheer you up on a gloomy day! Again very cleverly utilising a small space. A conservatory to aspire to in Elle Decor. This winter white palette works very well in a modern apartment. 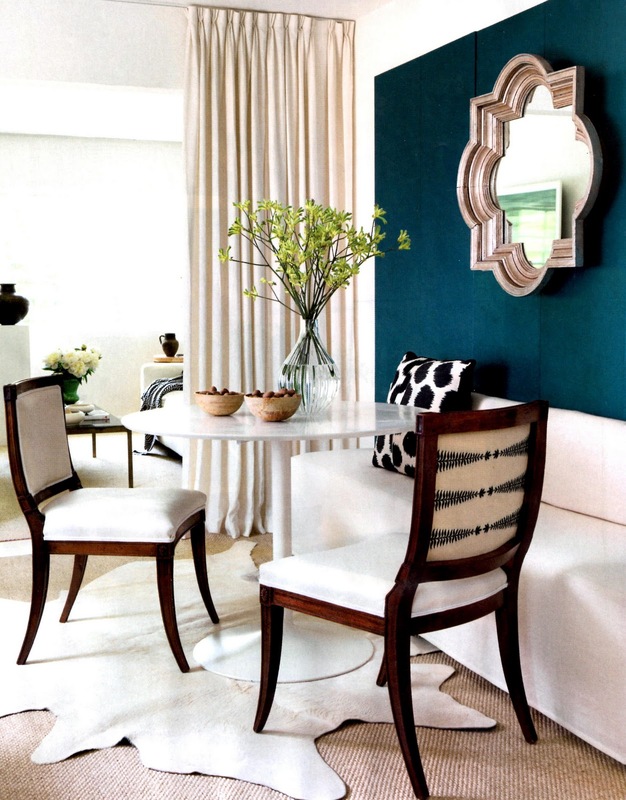 Lindsey bond turquoise wall with a quatrefoil mirror and tulip table. 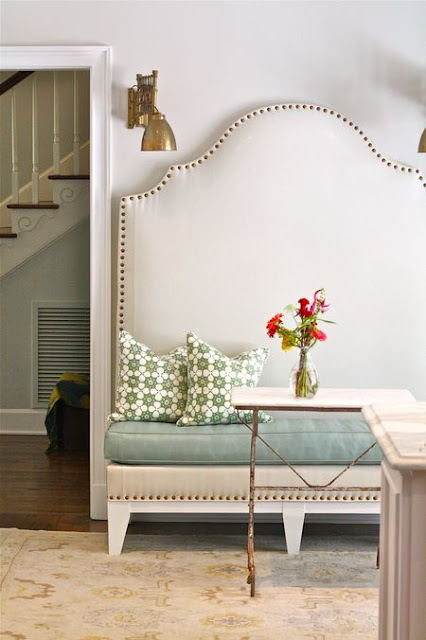 A Rachel Halverson high backed bench wit studs adds a sense of drama. Stud detail on the bench, a giant clamshell, dark wooden floors and interesting ceiling detail, what’s not to love? 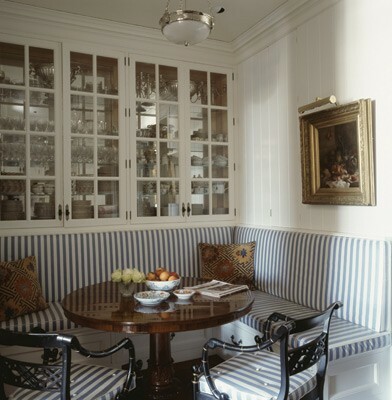 Do you have space for a banquette? Which one would you choose?